Toyota’s line of pickup trucks has always been praised for unparalleled reliability and durability, as well as for many other things. Attractive designs, opulent interiors and tons of features are just some of the reasons why these models are considered to be among the best in the world. Still, the Japanese manufacturer won’t stop on that, as we are about to see a lot of novelties for the next year. Without any doubt, the most interesting thing for the next year is a big chance for Toyota full-size pickup truck to get major changes. The current generation has been around for too long, for almost 12 years, which seems way too long compared to much younger rivals like Ford F-150 and Chevy Silverado. Despite it is still competitive, the company believes it is about time to see Toyota Tundra among three leading trucks in the segment. 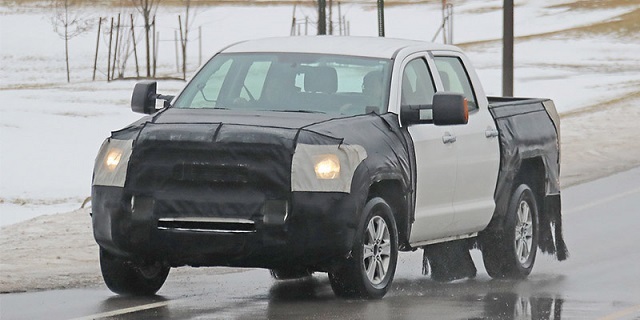 The testing model of the new 2020 Toyota Tundra has been spotted on the road, which clearly indicates that we are about to see some very interesting novelties for the next year. According to the latest reports, this won’t be a complete overhaul, but we are about to see a lot of interesting novelties. Judging on the camouflage, we are about to see a completely new exterior design, with a lot of aesthetical novelties. Of course, a huge majority of them will come at the front end. Speaking of the camouflage, there is another very interesting thing. The rear end has been covered completely and this cover doesn’t include just sheet metal, but entire rear axle as well. 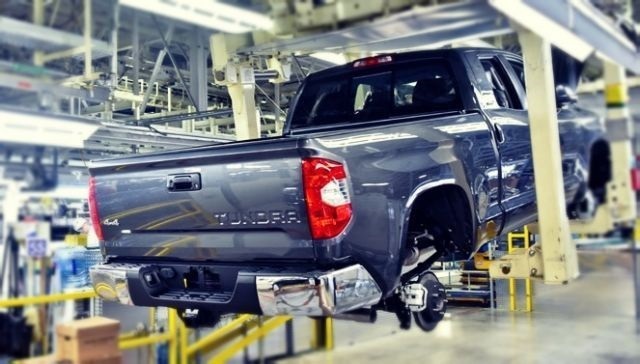 This leads as to the conclusion that the 2020 Toyota Tundra is about to get a new suspension. It definitely won’t be an independent rear suspension, as we notice shocks that are typical for solid rear axles. 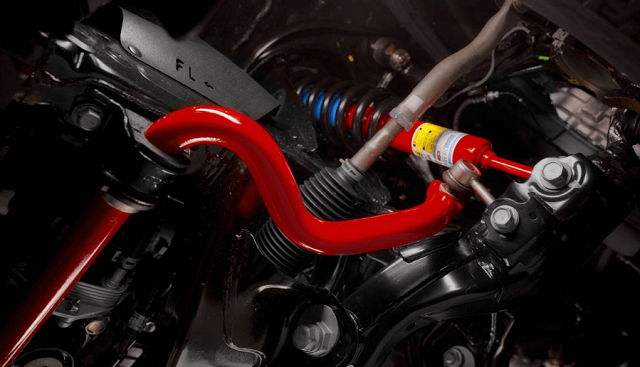 Therefore, we are more likely to see some kind of air suspension design. Novelties are expected under the hood as well. Latest reports suggest that current V8 units will carry on, though we should see various modifications, which would provide slightly more power and a few more miles per gallon. Another important novelty should be a new 10-speed automatic transmission. Finally, the interior design should come with a fine portion of changes as well. How much does a Toyota Tundra weight? As we already mentioned, this won’t be a complete overhaul, so many of base design characteristics will remain unchanged. This refers to curb weight as well. Due to a decade-old design, the Tundra is among heavier trucks in the class. The base Double Cab model with a 4.6-liter engine weighs around 5.185 pounds, while biggest, CrewMax models with a larger 5.7-liter engine can add up to 300 pounds. How Much Can the 2020 Toyota Tundra Tow? Currently, base models with a 4.6-liter engine can tow up to 6.800 pounds. Models with a 5.7-liter engine are far more capable, as they can tow around 10.200 pounds. These are still below-average numbers for the class. However, a possible power boost could raise these numbers for a bit. Also, keep in mind that a diesel version has been rumored. 2020 Toyota Tundra Diesel – Is Toyota Going To Make The Diesel Tundra? Despite we, there is still no official confirmation, the 2020 Toyota Tundra Diesel definitely looks very likely to come. There are tons of reports on the internet that suggest a diesel version of this truck. The new version should be powered with a familiar oil-burner that comes from renowned U.S. company, Cummins. It is a well-known 5.0-liter engine that delivers around 310 horsepower and 555 pound-feet of torque, the same version that already powers Nissan Titan. Benefits from this version will be numerous. First of all, count of significantly improved fuel economy compared to current gasoline units, which are among thirstiest in the class. Also, this version will be more capable in terms of towing. Max capacity of this version should go over 12.000 pounds. Other than a diesel engine, this model probably won’t feature other notable differences. We are about to see the same updated design, as well as mentioned mechanical novelties, including new rear suspension. A diesel version would probably mean higher starting price, probably around 35.000 dollars. As we already mentioned, the 2020 Tundra Diesel is still waiting for the official confirmation. It’s no secret that Toyota Considers Tundra hybrid truck. Such reports have been circulating for years but it looks we are finally close to seeing this in practice. Latest rumors suggest that a hybrid version is about to come in the near future, most likely with the next overhaul. This would probably mean sometime in about two years. Details about this version are completely unavailable, so everything is in a domain of speculations. The company will probably aim for something that would provide a good balance between power and efficiency. Current gasoline models are pretty heavy compared to most competitors. So, adding a battery and electric motors to some of the current V8 engines doesn’t make too much sense. We expect to see a system that is based on some smaller engine. Of course, such a system would have to meet requirements not just in terms of efficiency, but in terms of power as well. The company already has something that can be useful, of course with a couple of modifications. It is a hybrid system that currently powers the LC 500h sports coupe. This system is based on a well-known 3.5-liter V6 engine, which comes in a combination with two quite powerful electric motors. So, a combined output goes around 355 horsepower, which seems quite enough for this occasion. Some reports go even further and suggest a completely new system, based on the next-generation hybrid technology, probably based on a smaller four-cylinder engine and multiple electric motors. However, we have to say that a V6-based system sounds far more likely at this point. 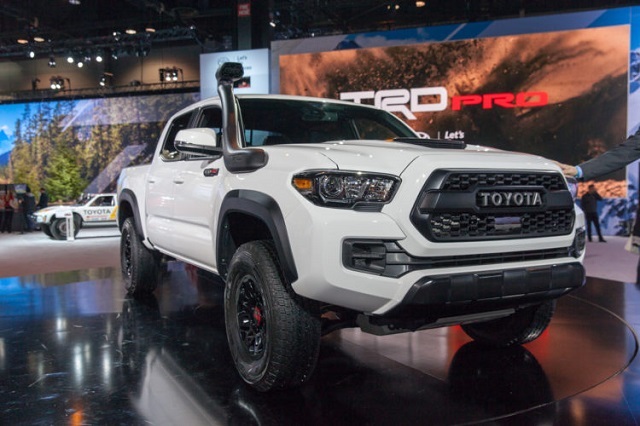 Another model that is getting a large portion of updates is the 2020 Toyota Tundra TRD Pro. This off-road truck is one of the most capable vehicles around the Japanese manufacturer is going to improve it in many ways, due to a fine number of novelties that are about to come in the near future. Of course, truck enthusiasts would probably like to hear something about mechanical updates. Fortunately, there will be some of them. Most of them refer to the suspension setup. We count on a couple of novelties, but the only thing we managed to find out is that the new version will come with new 2.5-inch Fox Internal Bypass shock absorbers. Along with a couple of more additions, it should soften the ride for a bit. 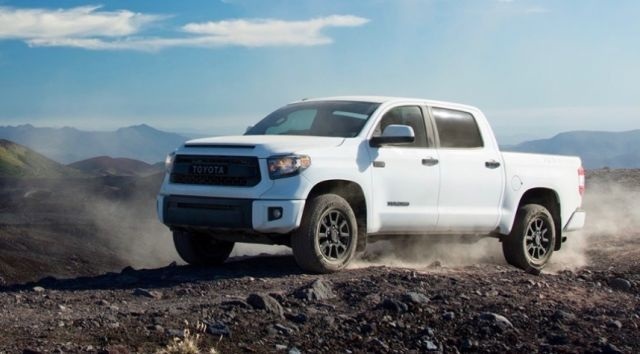 On the other side, most drivers will probably be more interested the fact that the 2020 Tundra TRD Pro won’t be reserved for CrewMax cab design anymore, as the upcoming model is about to be offered in a Double Cab body style as well. We have no doubt that this off-roader will become more affordable with this novelty. There are also some interesting visual novelties. The new model will get new 18-inch BBS wheels, as well as new LED lighting, grille and hood scoop. Finally, count on novelties in terms of tech features, as the new touchscreen will come with a new infotainment system, which includes Apple CarPlay and Android Auto as well. 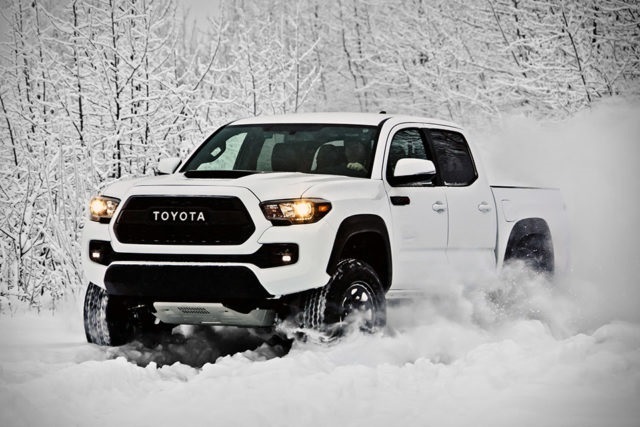 The Tundra may struggle to keep the pace with the North American trio of full-size pickup trucks but on the other side, the Tacoma is still an absolute leader among mid-size pickup truck. However, the competition is getting much tougher, as there is a couple of all-new models to hit the market this year. Therefore, the Japanese manufacturer prepares a couple of interesting novelties, in order to secure Tacoma’s leading position in the segment. The current generation of this truck has been around since 2015, so it’s no wonder that 2020 Toyota Tacoma receives a facelift. This update brings a plethora of interesting changes. Naturally, those visual are the most notable ones. The first thing you’ll notice about the updated version is a new grille design. Also, there are new LED headlights and daytime running lights. At the rear end, you will notice new taillights. From the side, you can easily notice new wheels. Finally, there is a couple of new exterior colors in the offer. This update is much more than just a facelift. The 2020 Tacoma also comes with several changes inside the cabin. One of the nice additions is a new power-adjustable driver’s seat, which is now standard across the whole range. Also, the Tacoma comes with significant novelties under the hood. There is a whole bunch of new gadgetry and other tech goodies, led by a new infotainment system and a new, 8-inch touchscreen. For the first time, the Tacoma comes with smartphone connectivity goodies like Apple CarPlay, Android Auto and Amazon Alexa. In terms of the mechanics, the 2020 Toyota Tacoma remains the same, which is quite typical for mid-cycle refreshes. Still, there is one exception, in a form of the off-road-oriented TRD Pro, which comes with a couple of suspension tweaks. In terms of safety features, the famous Safety Sense suite of advanced systems continues to be standard across the whole range. It includes things like adaptive cruise control, pre-collision warning, pedestrian detection, lane departure warning, automatic high-beams and many more. How much does a Toyota Tacoma weight? Base Tacoma specs will remain unchanged after this refresh. Therefore, count on the same curb weight, which varies depending on the body style, bed size, engine choice and level of equipment. Usually, it goes between 4.300 and 4.500 pounds. How Much Can the 2020 Toyota Tacoma Tow? Considering that the current gasoline engines will remain untouched, we count on same towing ratings for the 2020 Toyota Tacoma. Base models equipped with a 159-hp 2.7-liter four-cylinder unit can tow around 3.500 pounds. Things are much better with an optional 3.5-liter V6, which is good for about 278 horsepower. In this case, max towing capacity goes up to 6.800 pounds. Also, the Tacoma features class-leading max payload capacity, which goes around 1.620 pounds. Despite the fact that we still haven’t heard anything from the officials, a new diesel version of this truck seems very likely. The Tacoma is a truck is designed exclusively for the North American market, so it’s no wonder it comes with gasoline engines in the offer only. However, times are changing, so there is a high demand for oil-burners these days, even in North America. Other models in the class already have or will soon have diesel engines in their offer. For example, Chevy Colorado offers a diesel-powered version for years. On the other side, the upcoming redesign of the aged Nissan Frontier will include a new diesel option as well. Finally, Ford is also considering a diesel engine for the recently-revived Ranger pickup. Therefore, we have no doubt that Tacoma will do the same. Simply, the company has to prepare its mid-size pickup truck to compete with other rivals in all aspects. A good thing is that Toyota already has what to offer in this case. As you probably know, the Tacoma is closely related to the iconic Hilux. Considering the main markets for this internationally-offered truck are parts of the world like Australia, Europe, and Asia, there are several diesel variants in the offer. The one that sounds most likely to find the place under the hood of new Tacoma is a familiar 2.8-liter turbodiesel, which is good for 177 horsepower and 330 pound-feet of torque. Some reports even suggest a couple of modifications that would provide slightly more power. In any case, the benefits of the diesel version will be obvious. First of all, count on significantly better fuel economy. Secondly, towing capacity should be increased as well. Hybrid powertrains should be one of the biggest breakthroughs in the next few years when it comes to pickup trucks. Several companies already announced their ambitions to offer electrified trucks. 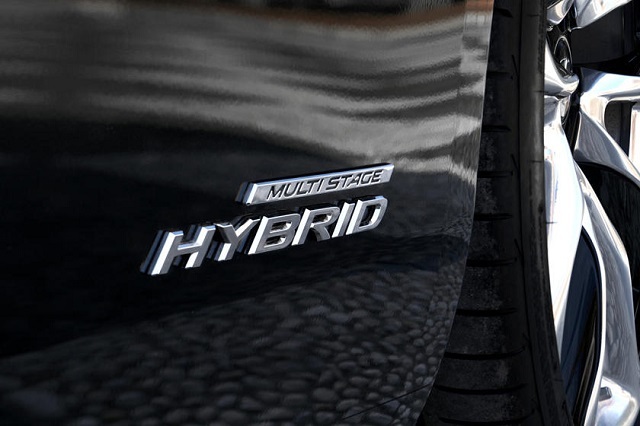 As a world’s leader in hybrid technology, we have no doubt that Toyota will participate as well. “Green” vehicles are in high demand these days, but most buyers still prefer hybrids over all-electric vehicles. Reasons are numerous but it all ends in a high price tag. Therefore, it’s not strange that a RAV4 hybrid easily outsells every EV model in North America. Considering that most of the company’s lineups have already been electrified, a hybrid truck seems like a logical next move. However, we are pretty sure that Toyota is already working on such a version of Tacoma and that there are probably still some goals to be achieved. Of course, we don’t expect a four-cylinder-based system that can provide 7.000 pounds of max towing capacity. Most likely, the company will rather focus on efficiency this time. 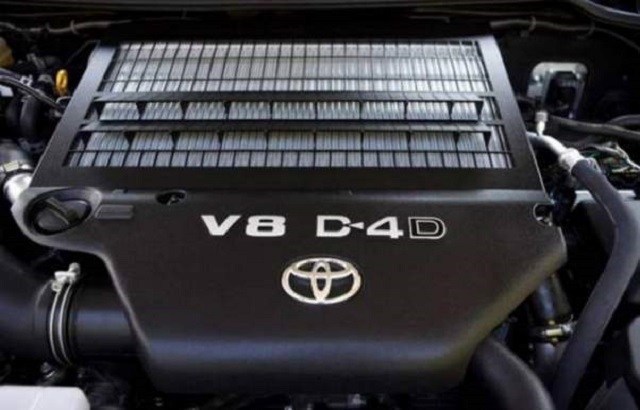 The main goal will probably be excellent fuel economy and many experts believe that Toyota already has a powertrain that can provide more than 30 mpg. Of course, adopting hybrid powertrain to a truck seems like a complicated process, so it might take more time than we would usually expect. In any case, this version could hit the market already in about two years. Off course, this refresh will include changes on the model’s most capable version as well. 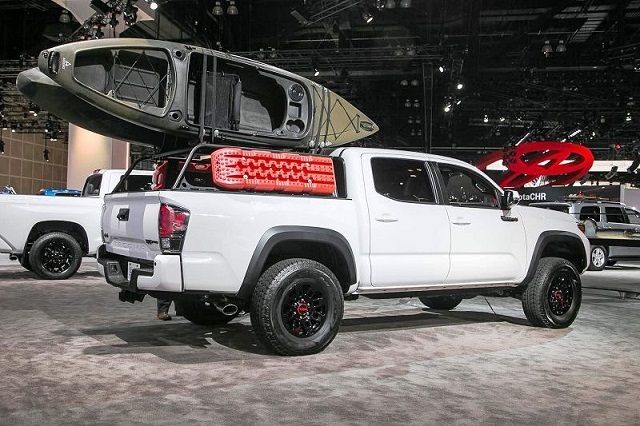 The 2020 Toyota Tacoma TRD Pro will also come with all those styling updates, but it will also carry only with a couple of exclusive details. Compared to standard models, it comes with a plethora of modifications, mostly in terms of mechanics. There is a different suspension setup, which is adapted to off-road ride. This update brings new Fox 2.5-inch internal bypass shocks on both axles, which should provide a little bit softer ride. In terms of aesthetics, it is important to mention that the is one new exclusive color in the offer, called Army Green. Of course, this version will come with all those tech updates on the inside. So, you can count on a larger touchscreen, which now runs a new infotainment system, which is much more user-friendly, has more functions and better graphics. Also, you can finally count on things like Apple CarPlay and Android Auto. 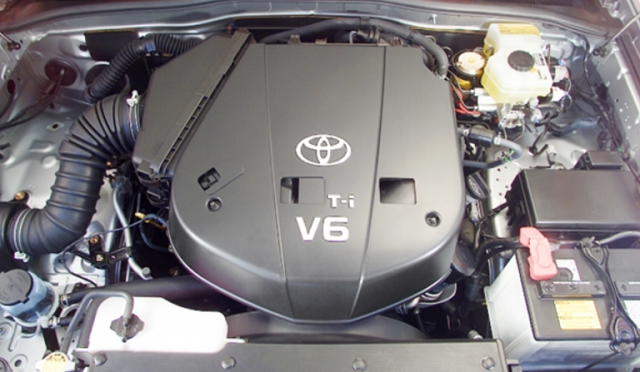 Under the hood, you will find a familiar 3.5-liter V6 engine with 278 horsepower. The price starts at around 42.500 dollars. This price might sound way too high for some. Fortunately, there are two cheaper alternatives. 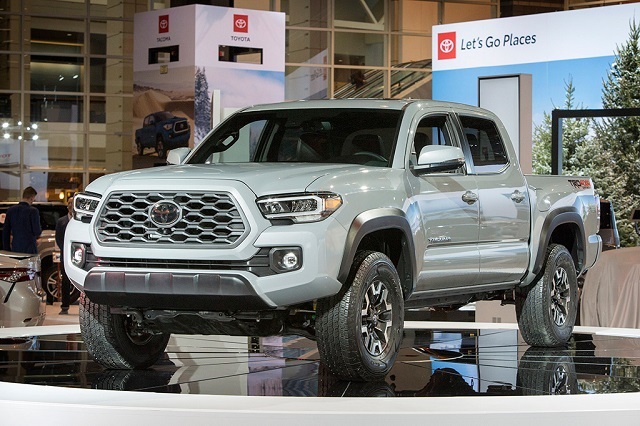 The first one is Tacoma TRD Sport, which also comes with a V6 engine, but has a shorter list of standard equipment and lacks most off-road mechanical upgrades. However, it is for about 10.000 dollars cheaper. There is also a model called TRD Off-Road. 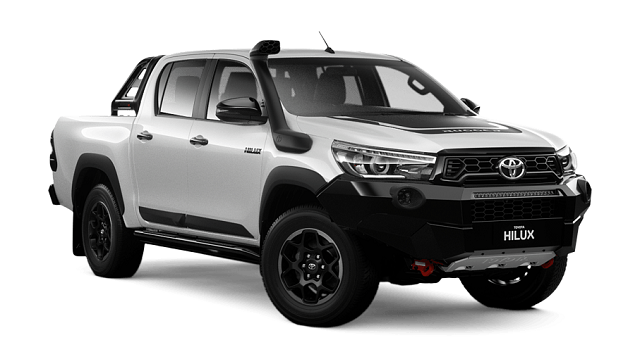 This one adds a couple of off-road upgrades, such as skid plates, a multi-terrain select system with crawl control, active traction control, an electronic locking rear differential. It seems like the best choice for those who want a capable off-roader for an affordable price. It goes around 33.500 dollars. 2020 Toyota Hilux – Not Available in the U.S.! You probably read a lot of reports about Hilyx’s possible arrival in North America in the past few months. These days, it became pretty clear that this won’t happen. The iconic pickup truck will continue to be offered around the world, but not in North America. Still, there is a fine amount of changes that are coming for the next year. Despite the fact that the current generation has been around since 2015 it this is already the second update. Once again, we are about to see some interesting styling changes. Like the first time, we will once again see changes at the front end, which will bring its look closer to the Tacoma. The first thing you’ll notice is that most changes are made at the front. The grille has been reshaped once again and besides new shape, it now also features a new mesh pattern. This time, there are also revisions on headlights, as well as on the bumper, which comes with a little bit sharper approach, as well as with new fog lights and air intakes. 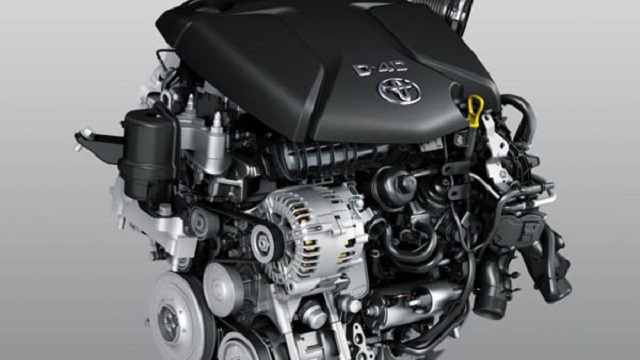 We can expect to see two familiar turbodiesel engines under the hood of 2020 Toyota Hilux but that doesn’t mean there are no novelties in terms of powertrain. Both engines will get a DPF swift, which automatically initiates a burn off when required. Besides this feature, the company also claims slightly better fuel economy. 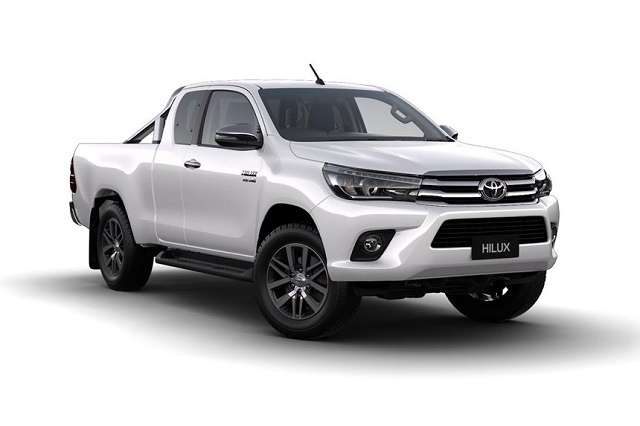 As we already mentioned, the HiLux is available in markets around the world, pretty much everywhere except in North America. 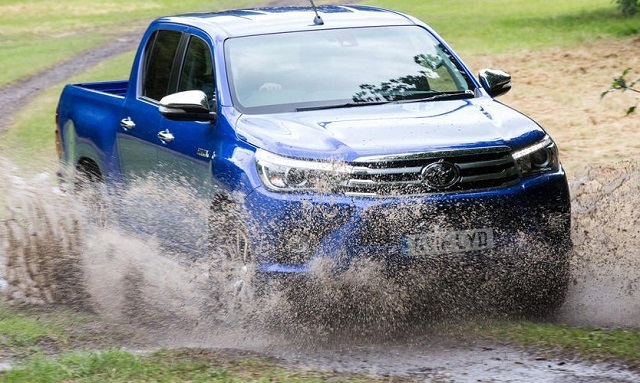 One of its main markets is Australia, where the HiLux is the best-selling model among all kinds of vehicles on the market. One of its most popular versions is called the SR5. This trim level is relatively basic. It doesn’t feature too many standard features, though you can count on essentials such as satellite navigation or automatic climate control. It comes standard with 18-inch alloy wheels and it is available in either Extra-Cab or Double-Cab layout. In both cases, you can count on a well-known 2.8-liter turbodiesel, which comes in a pair with a 6-speed automatic transmission. 2WD is standard, while 4WD is also available. This model starts at around 60.000 Australian Dollars. The Hilux comes in several version in the offers and the Rugged X is one of the newest ones to arrive. This model is designed for those who practice heavier off-road ride, which includes hard terrains as well. So, it’s no wonder you can find lots of modifications. In the past, drivers tended to upgrade standard models by themselves. Now, Toyota can save you from this additional work and costs. The first thing you’ll notice on this model are new bumpers. The function of these bumpers is not just to provide a more rugged look, but to provide better off-road capabilities as well. They are designed in such a manner to provide a much better approach and departure angles, which is definitely one of the most important things for a good off-road drive. The truck also sits a little bit higher than standard models. Finally, there is a massive steel underbody protection. Finally, this version comes with 17-inch wheels, which seem more practical for off-roading. Despite numerous upgrades, a majority of the truck remained the same. From the most basic aspect, this version isn’t that different from versions like SR5. Other than mentioned off-road upgrades, things are pretty familiar. You can count on the same 2.8-liter turbodiesel engine, which comes paired with either manual or automatic transmission. Even the list of standard equipment is quite similar. The starting price goes around 67.500 Australian Dollars.